Crow Creek Golf Club is located in Calabash, NC on Highway 17, 2 miles north of the NC / SC state line and just minutes from Myrtle Beach, SC. Since its opening, Crow Creek Golf Club has become one of the most popular destinations for golfers visiting the Myrtle Beach area. Created by architect Rick Robbins, a former Jack Nicklaus design associate, Crow Creek Golf Club is a scenic layout set on developer Jerry McLamb's 500-acre family homestead. 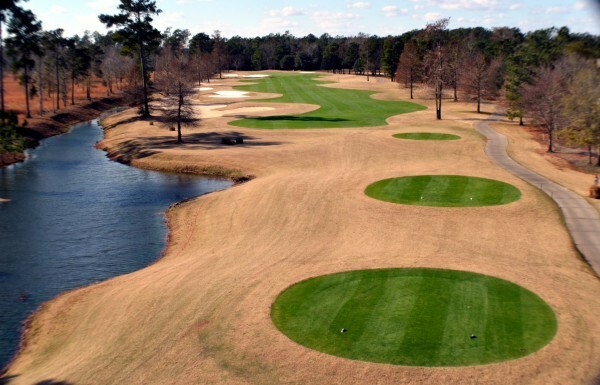 Golfers that have experienced Crow Creek have made it a "must play" on their return visits to Myrtle Beach, South Carolina. Comments are received on a daily basis praising the imaginative layout, undulating L-93 bent grass greens, manicured Tifsport bermuda fairways and genuine hospitality of the entire staff. "We will definitely tell our friends to play Crow Creek the next time they are in Brunswick County or Myrtle Beach", is a comment heard quite regularly.